Shareholder disputes normally fall within two categories. The first is where a shareholder is outvoted by a majority which is acting against the interest of the company. The second is where a rogue director is “on a frolic of their own”; that is, they are acting for their own benefit or that of third parties. In such circumstances, minority shareholders can issue either a derivative claim or a claim for unfair prejudice. In England and Wales, shareholders are protected by sections 260 and 994 of the Companies Act 2006. Publicly listed companies can also rely on the Financial Services and Markets Act 2000, or common law principles. Although these provisions are often adequate, companies may wish to consider arbitration when they want to keep their affairs private. The courts have considered the arbitrability of unfair prejudice disputes in England and Wales. In Fulham Football Club (1987) Ltd v Richards, the mere mention of the court’s power under the Companies Act 2006 was found not to preclude the arbitral tribunal from exercising a similar function, so long as such permission to continue the claim did not affect third parties. The starting point was to identify a statutory provision or rule of public policy which had the effect of rendering the arbitration agreement either void or unenforceable. Absent such a provision, the arbitration agreement would operate as an agreement not to present a winding-up petition unless and until the underlying dispute had been determined in the arbitration. Fulham was recently followed in Singapore in L Capital Jones Ltd v Maniach Pte Ltd. In that case, the court held that the only question was whether or not the subject matter of the dispute fell within the public policy exception. It was considered that minority oppression claims did not tend to raise issues of public policy, as they generally related to the relationship between shareholders, without having any wider public interest. As a result, the proper forum to raise complaints about abuse of process was the court whose process was alleged to have been abused. This does not seem to be possible in English law as far as derivative actions are concerned. In Beattie v E & F Beattie Ltd, a decision from 1938, directors, when named as defendants in a shareholder derivative suit, could not invoke an arbitration clause in the company’s articles of association. A board collectively, and its directors individually, were not privy to the articles of association. Where articles of association are the basis for an arbitration, a shareholder who wishes to recover against an auditor or third party would also be precluded in relation to a derivative action. Compromises the intended effects of corporate governance. To ensure the arbitrability of such disputes, it is important to include an arbitration clause in the articles that bind former, present and future shareholders. Such arbitrations, for example class actions for shareholders to collectively seek redress, are subject to limitations. 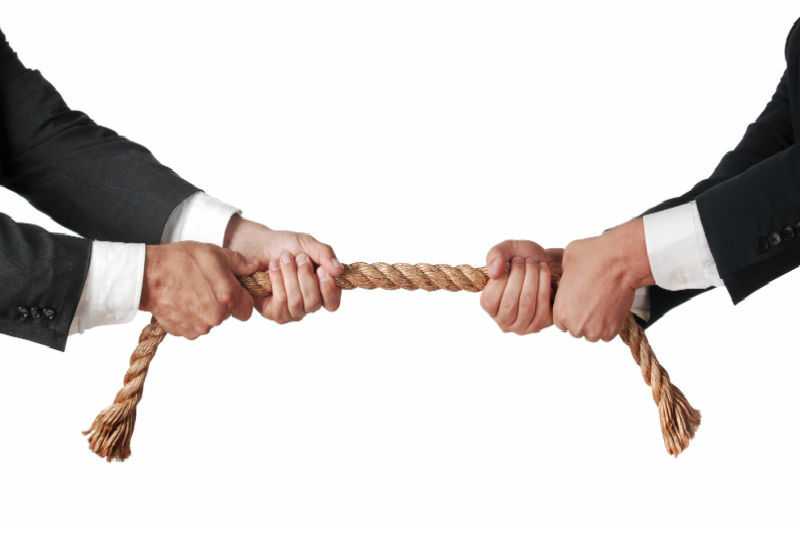 Conflict of law issues can also present a risk to listed companies. For example, a listed company may have its legal seat in country X, its headquarters in country Y, and be listed on an exchange in country Z. Choosing and applying the correct law can be difficult. Written into the company’s articles of association (Section 102(b)(1)). Included in the bylaws, either as an initial bylaw or one that is added subsequently (Sections 109(a) and (b)). Negotiated between the company and shareholders on an individual basis. Title 10 Chapter 3 of the Delaware Code also generally approves arbitration. This was confirmed by Delaware’s Chancery Court in Re Revlon Inc. Shareholders Litigation, where it found companies are free to select an exclusive forum if boards of directors and shareholders believe a particular forum provides an efficient and value promoting the locus. In Galaviz v Berg, the United States District Court for the Northern District of California decided that shareholders can bind each other to terms which are properly put to a vote. The Securities Exchange Commission (SEC) resists the adoption of arbitration in shareholders disputes. However, federal law makers and courts have demonstrated a relatively pro-arbitration approach. Section 2 of the Federal Arbitration Act 2014 (Title 9 of the United States Code) concerning matters of validity, irrevocability and enforcement of agreements to arbitrate does not prohibit corporate arbitration. In Mitsubishi Motors Corp. v Soler Chrysler-Plymouth, Inc., the US Supreme Court held that the statute would continue to serve both its remedial and deterrent function if the invoking party could effectively pursue its statutory cause of action in the arbitral forum. In AT&T Mobility LLC v Concepcion, 131 SC 1742 (2011), the US Supreme Court held that courts must place arbitration agreements on an equal footing with other contracts. In English law, party autonomy is the cornerstone of arbitration. It is reinforced by contractual principles in company law. In essence, it treats the articles containing an arbitration clause as a binding agreement between the shareholders and the company, and among the shareholders themselves. The Companies Act 2006 does not confirm the status of the articles as a contract, and judicial and academic opinions regard it as a quasi-contract. There are limitations to this approach. An example of one such limitation is where a company’s articles are unilaterally changed by a supermajority vote. The basic position is that dissenting shareholders cannot seek damages or an injunction in respect of such a change. However, this is clearly not a contractual principle. Whether parties may be regarded as implicitly consenting is still to be tested. In Brazil, shareholder arbitration is encouraged. Article 109 of Law 6.404/76 (Lei das Sociedades Anônimas) contains a specific provision which confirms that listed companies can include arbitration agreements in their articles of association. In 2001, the São Paulo stock exchange (Bovespa), in its top two levels of listing, introduced its own arbitration institution (Câmara de Arbitragem do Mercado) for listed companies. Any company within those levels must agree to submit to arbitration all disputes between the company, its shareholders and managers, and Bovespa. In Re: Petrobras Securities Litigation, in response to a class action for misrepresentation, fraud and breaches of the Exchange Act 1934 and the Securities Act 1933, Petrobras argued that any dispute arising from the acquisition of shares was subject to arbitration in Brazil (in accordance with its articles of association). In its preliminary decision, the District Court of the Southern District of New York decided that shares purchased via the New York Stock Exchange were subject to the federal acts and a separate, non-contractual cause of action arose. Shares purchased in Brazil, via Bovespa, were subject to arbitration. A company’s articles of association and any shareholder agreement should be the basis for regulating minority shareholder disputes by arbitration. Any provision must be carefully drafted so as to make clear what disputes are covered and who is bound by the clause. Consider also giving the arbitrators specific powers, for example in relation to evidence and interim remedies, and include a mechanism for consolidation in multi-party actions. If the dispute arises out of provisions in the Companies Act 2006, remedies will also depend on the drafting of the provisions. An arbitral tribunal may have power to grant specific performance or an injunction, but it may not have power to unwind the transactions. It would not be able to remedy invalid resolutions or non-compliance with the Companies Act 2006. Ordering a company to pass a new resolution is not within the arbitrator’s power. Arbitration may be used in unfair prejudice claims, where a contractual remedy is sought and will be enforced against other shareholders or the company. Where statutory remedies against third parties are necessary, you may be left with no option but to air your dirty laundry in public.